An unusual agave that densely holds hundreds of small thin leaves. 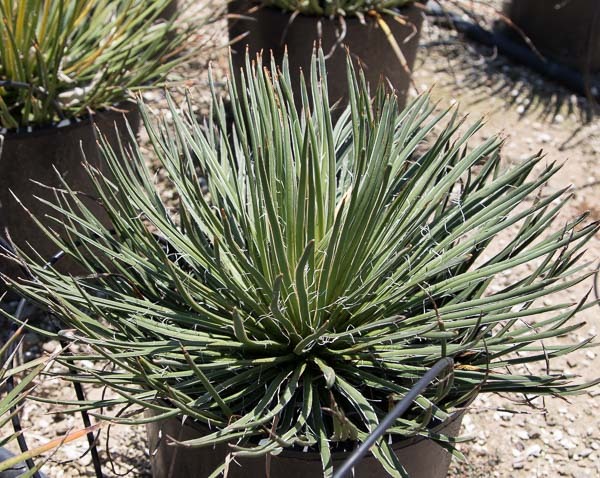 The leaves are very flexible with smaller spines making this plant more “user-friendly.” The leaf tips will turn red or purple when exposed to cooler temperatures which can add a unique element to this agave. Agave geminiflora is found in Oak woodlands in slightly higher altitude locales. Agave Geminiflora works well planted in groupings in larger gardens but will also thrive in potted applications.